A calendar is a calendar, right? Not if it can’t help you keep track of your digital marketing campaigns. The marketing calendar is a key part of the emfluence Marketing Platform that assists in the ever-important planning of your email marketing and social media campaigns. It’s an integrated marketer’s dream. 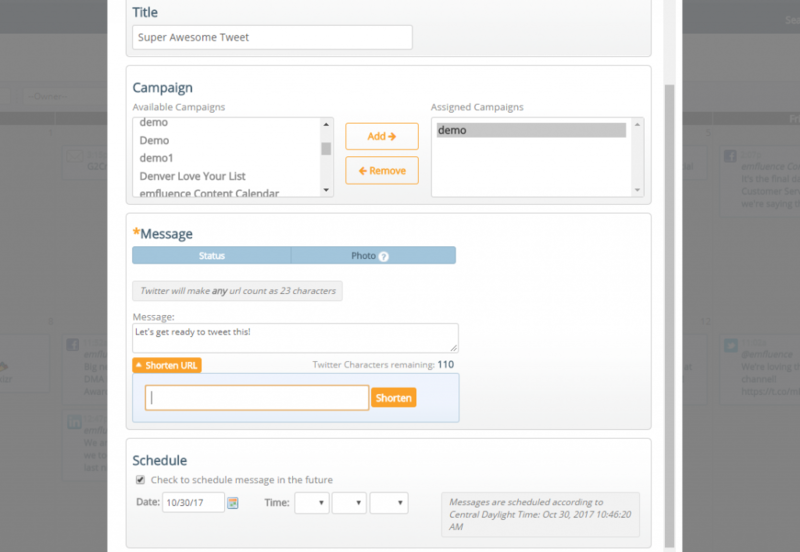 Our drag and drop marketing calendar feature helps you get your monthly email and social content scheduled and ready to post. Need to tie your posts and email to one campaign? No problem. A quick toggle will enable you to search by keyword, campaign and time frame across your social media and email marketing channels to uncover what’s being posted, and sent, when and where. Is it a marketing calendar that works hard so you don’t have to? Absolutely. Schedule Your Month Directly from Your Marketing Calendar. Pro tip: schedule out what you know you’ll want to share each month, and you’ll have more time to toss in flexible, timely social content on a daily basis. We’ve made planning like this super easy in the emfluence Marketing Platform: you can create, schedule, and track social media posts for Facebook, LinkedIn, and Twitter directly on the Marketing Calendar. We’ve even got you covered while you’re out live-tweeting or sharing on the fly. 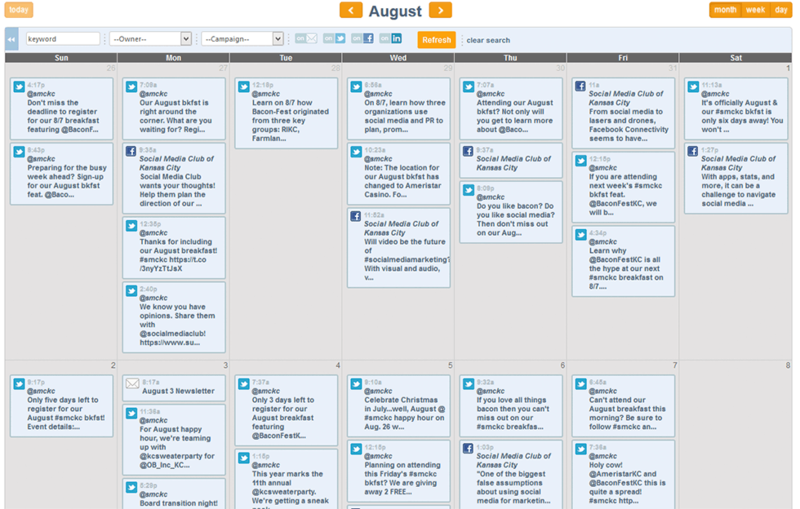 Our Marketing Calendar pulls back what you’ve shared elsewhere so you can track planned and off-the-cuff interactions.